UFO SIGHTINGS DAILY: Alien technology spotted orbiting a distant star, Oct 2015, UFO Sighting News. Alien technology spotted orbiting a distant star, Oct 2015, UFO Sighting News. In the Northern hemisphere’s sky, hovering above the Milky Way, there are two constellations—Cygnus the swan, her wings outstretched in full flight, and Lyra, the harp that accompanied poetry in ancient Greece, from which we take our word “lyric.” Between these constellations sits an unusual star, invisible to the naked eye, but visible to the Kepler Space Telescope, which stared at it for more than four years, beginning in 2009. The Tomorrow Report Ideas from a changing world Read more “We’d never seen anything like this star,” says Tabetha Boyajian, a postdoc at Yale. “It was really weird. We thought it might be bad data or movement on the spacecraft, but everything checked out.” Kepler was looking for tiny dips in the light emitted by this star. Indeed, it was looking for these dips in more than 150,000 stars, simultaneously, because these dips are often shadows cast by transiting planets. Especially when they repeat, periodically, as you’d expect if they were caused by orbiting objects. The Kepler Space Telescope collected a great deal of light from all of those stars it watched. So much light that Kepler’s science team couldn’t process it all with algorithms. They needed the human eye, and human cognition, which remains unsurpassed in certain sorts of pattern recognition. Kepler’s astronomers decided to found Planet Hunters, a program that asked “citizen scientists” to examine light patterns emitted by the stars, from the comfort of their own homes. In 2011, several citizen scientists flagged one particular star as “interesting” and “bizarre.” The star was emitting a light pattern that looked stranger than any of the others Kepler was watching. The light pattern suggests there is a big mess of matter circling the star, in tight formation. That would be expected if the star were young. When our solar system first formed, four and a half billion years ago, a messy disk of dust and debris surrounded the sun, before gravity organized it into planets, and rings of rock and ice. But this unusual star isn’t young. If it were young, it would be surrounded by dust that would give off extra infrared light. There doesn’t seem to be an excess of infrared light around this star. It appears to be mature. And yet, there is this mess of objects circling it. A mess big enough to block a substantial number of photons that would have otherwise beamed into the tube of the Kepler Space Telescope. If blind nature deposited this mess around the star, it must have done so recently. Otherwise, it would be gone by now. Gravity would have consolidated it, or it would have been sucked into the star and swallowed, after a brief fiery splash. “It looked like the kind of thing you might expect an alien civilization to build.” Boyajian, the Yale Postdoc who oversees Planet Hunters, recently published a paper describing the star’s bizarre light pattern. Several of the citizen scientists are named as co-authors. The paper explores a number of scenarios that might explain the pattern—instrument defects; the shrapnel from an asteroid belt pileup; an impact of planetary scale, like the one that created our moon. The paper finds each explanation wanting, save for one. If another star had passed through the unusual star’s system, it could have yanked a sea of comets inward. Provided there were enough of them, the comets could have made the dimming pattern. But that would be an extraordinary coincidence, if that happened so recently, only a few millennia before humans developed the tech to loft a telescope into space. That’s a narrow band of time, cosmically speaking. And yet, the explanation has to be rare or coincidental. After all, this light pattern doesn’t show up anywhere else, across 150,000 stars. We know that something strange is going on out there. When I spoke to Boyajian on the phone, she explained that her recent paper only reviews “natural” scenarios. “But,” she said, there were “other scenarios” she was considering. Jason Wright, an astronomer from Penn State University, is set to publish an alternative interpretation of the light pattern. SETI researchers have long suggested that we might be able to detect distant extraterrestrial civilizations, by looking for enormous technological artifacts orbiting other stars. Wright and his co-authors say the unusual star’s light pattern is consistent with a “swarm of megastructures,” perhaps stellar-light collectors, technology designed to catch energy from the star. “When [Boyajian] showed me the data, I was fascinated by how crazy it looked,” Wright told me. “Aliens should always be the very last hypothesis you consider, but this looked like something you would expect an alien civilization to build.” Boyajian is now working with Wright and Andrew Siemion, the Director of the SETI Research Center at the University of California, Berkeley. The three of them are writing up a proposal. 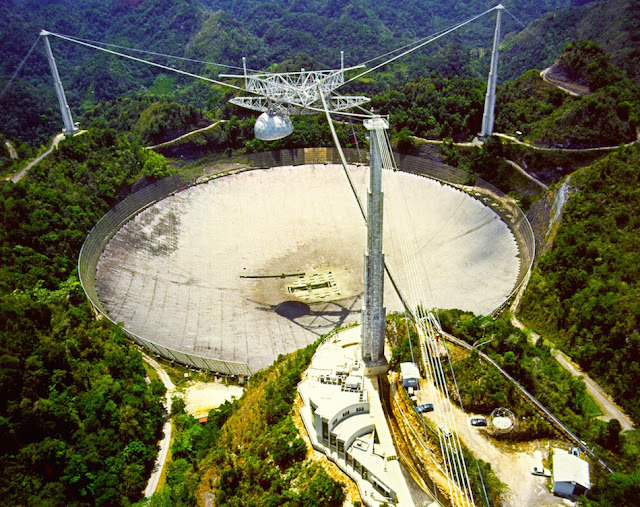 They want to point a massive radio dish at the unusual star, to see if it emits radio waves at frequencies associated with technological activity. If they see a sizable amount of radio waves, they’ll follow up with the Very Large Array (VLA) in New Mexico, which may be able to say whether the radio waves were emitted by a technological source, like those that waft out into the universe from Earth’s network of radio stations. Assuming all goes well, the first observation would take place in January, with the follow-up coming next fall. If things go really well, the follow-up could happen sooner. “If we saw something exciting, we could ask the director for special allotted time on the VLA,” Wright told me. “And in that case, we’d be asking to go on right away.” In the meantime, Boyajian, Siemion, Wright, the citizen scientists, and the rest of us, will have to content ourselves with longing looks at the sky, aimed between the swan and the lyre, where maybe, just maybe, someone is looking back, and seeing the sun dim ever so slightly, every 365 days.